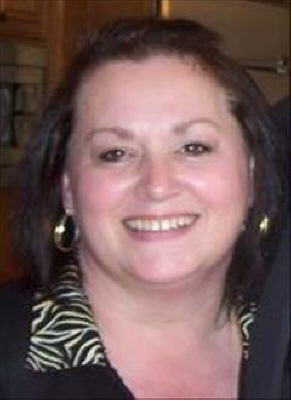 Frances (Wooley) Meaders, age 54, departed this life on Monday, March 18, 2019 in Holdenville, Oklahoma. She was born December 1, 1964 in Heibelberg, Germany to Covey Wooley and Elizabeth Graham Wooley. She married Donnie Meaders December 12, 2011 in Ft.Smith, Arkansas. Frances was a member of Wewoka Church of Christ. Her hobbies were riding motorcycles, gardening, cooking, and taking care of her pets. Frances adored her grandchildren very much. Preceding Frances in death are her Mother and grandparents. Survivors include her husband Donnie of the home, Father Covey Wooley of Clearwater, MS: children, Roger Sovine and wife Tracy of TN, Shela "KC" Hall and husband Andrew of Spring Hill, TN, Michael and wife Lisa Meaders of Sulpher Rock, Arkansas, Brittany Lowe and husband Kendall of Oklahoma City, Shelby and Katie Meaders both of Ada: seven grandchildren : sister Rebecca Age of Cordova, TN, two brothers, Charles Wooley and James Wooley, both of Columbia, TN and a host of other relatives and friends. Funeral service will be 10:00 AM Monday, March 25, 2019 at Wewoka Church of Christ, with Aaron Alsbrook officiating and burial at Allen Cemetery. Pall bearers will be Bill Sides, Brandon Meeks, Bryan Cain, Christopher Epperley, Freddie Allen, and Joe Cooper. Honorary pallbearers are Deputies of Seminole and Okfuskee Counties. To send flowers or a remembrance gift to the family of Frances Meaders, please visit our Tribute Store. "Email Address" would like to share the life celebration of Frances Meaders. Click on the "link" to go to share a favorite memory or leave a condolence message for the family.